If firemen weren’t allowed to hang around the firehouse a lot but were only paid when fighting fire, they would be very tempted to set fires to put out. ”On Exactitude in Science” by Jorges Luis Borges may be instructive…. We are constantly bombarded with alarming announcements about heart attack risks. Many hundreds of billions of dollars are spent annually in multiple ways trying to avoid dying from a heart attack. It is a bit shocking to actually see what the 10 year heart attack mortality risk looks like. I don’t know what your reaction will be but my was, “Huh, wow, that’s not such a big deal. Maybe I should just relax, live as healthily as possible and ignore all the medical screaming and shouting. I have used the data table found on page 128 in the very readable, and useful book Know Your Chances by Woloshin, Schwartz and Welch. 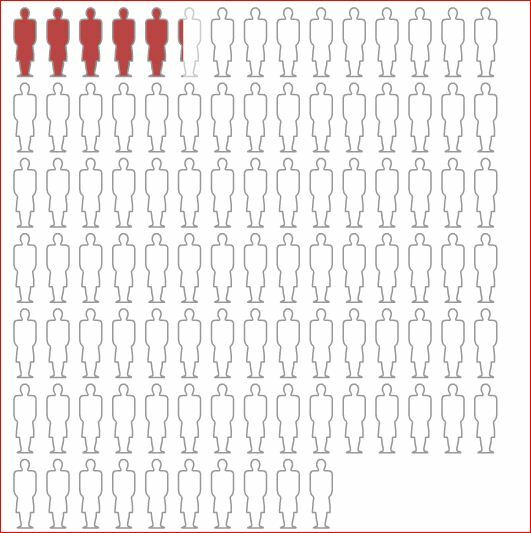 Now let’s do the same sort of chart for a 100 women who smoke. 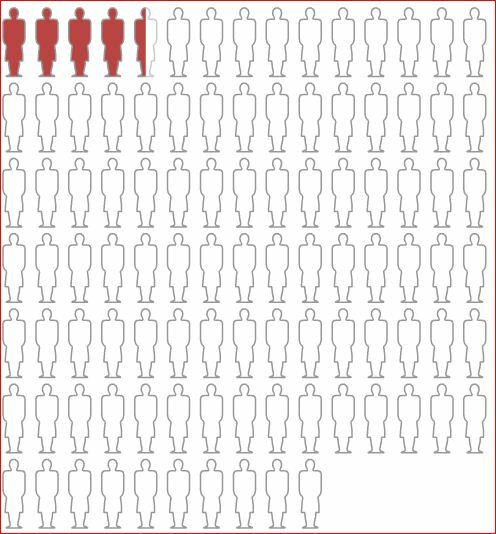 In this case, the data claims that 4.5 of these 65 yr old smokers will die of heart attack before the age of 75. 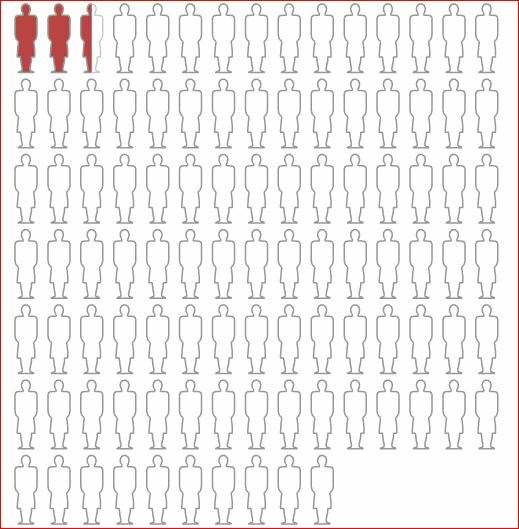 Now let’s do the same sort of chart for a 100 men who smoke. In this case, the data claims that 7.4 of these 65 yr old smokers will die of heart attack before the age of 75. The bag of tricks for promoting various drugs, and medical devices testifies to a ingeniousness on the part of marketing departments. This link provides a template for luring journalists by baiting the hook with prominent academic researchers. 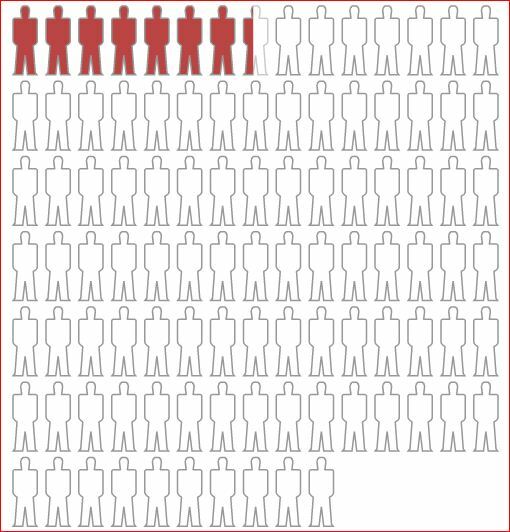 More than [VERY BIG NUMBER] Americans suffer from [COMMON DISEASE] and it is one of the few cardiovascular diseases on the rise. A new study, published online today by [FAMOUS JOURNAL], reveals there are gaps in the quality of [COMMON DISEASE] care provided to thousands of patients by cardiologists who don’t always follow guidelines for patient treatment. There used to be a time when people went to health care practitioners to help with a perceived illness but increasingly the siren songs of “better than well” are changing the boundaries between healing and enhancing. Hence, I ask the rhetorical question: And at what point does a physician become a drug pusher? Should Psychiatrists Prescribe Neuroenhancers for Mentally Healthy Patients? “In 2009, the Ethics, Law and Humanities Committee of the American Academy of Neurology (AAN) issued guidance regarding responding to requests from adult patients for neuroenhancers.1 The AAN report defines this term as “prescribing medications to normal adults for the purpose of augmenting their normal cognitive or affective function.” The author, Cynthia Geppert, has previously summarized the content of the AAN paper in aPsychiatric Times podcast available at http://www. psychiatrictimes.com/podcasts. The post below is a google translation of a post on the Spanish language blog Dueño de Mi Salud. The text was original in Spanish but the graphics were in English. This is excellent and I can only hope that Dueno de Mi Salud will continue to post material as good as this. I am quite sure that the vast majority most of you recognize what the major cardiovascular risk factors (though: there are over 100). Congratulations! 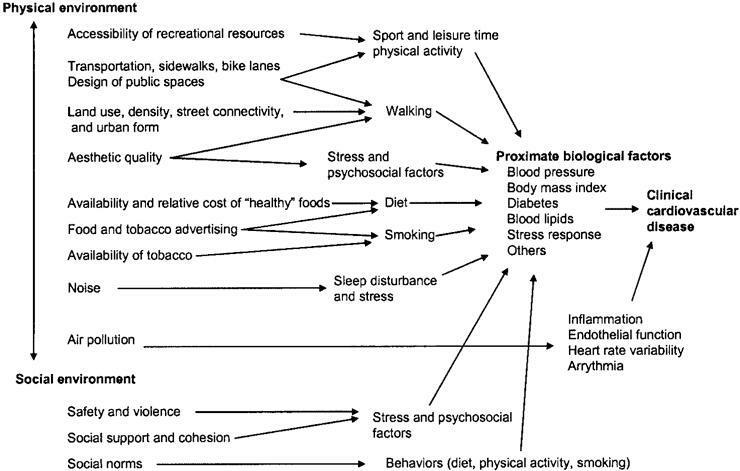 But now we begin to pull the rope, what are the causes of these “risk factors” (not causes)? Well, the lifestyle. So far we agree. But what are the determinants that we make certain habits and not others? 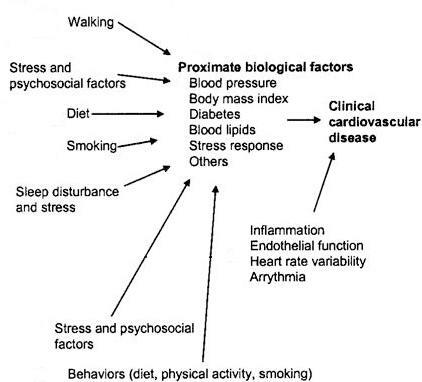 Recoiling our steps we find the source of all problems: the causes of the causes of the causes of cardiovascular disease do not fall in hypercholesterolemia and hypertension. If Ramiro, who lives in a suburb with little playground, a couple of minutes walk from a factory spewing nitrogen and benzene vapor 24 hours a day, which has limited financial resources and therefore less access to food ” Heart-which has an expectation of working life very unsatisfactory, and so on. etc. If Ramirez does not have a healthy lifestyle is because their lives, their natural environment, social, family and staff are not as favorable as he wanted. Does it make sense then that thousands of Ramiros take statins for primary preventionor dedicate these resources to try to improve the lives of these people? By Providing Treatment Designed to Prevent particular diseases.Selecting we May Be Another cause of death for unkowningly, and Certainly Without the patient’s informed consent. Therefore, before rushing into a titanic effort to prevent disease pastillazos effort should be made ​​in each person, try to identify the causes of the causes of their causes, and not to create false hopes that the medicine gets reduced to zero risk of disease, or that prevention is able to outwit death itself . Idea, reviews and charts from Rafa Cofiño . Interesting study on how metaphor both helps and hinders thinking. PLoS ONE: Metaphors We Think With: The Role of Metaphor in Reasoning. Now that we have a drug, let’s create a disease. 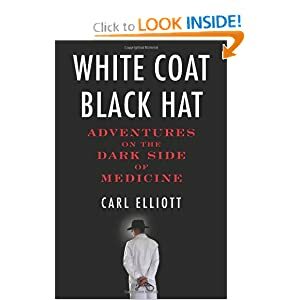 Here is a link to an excerpt from the book White Coat, Black Hat about how diseases are sometimes created to sell new drugs or rehabilitate old drugs. Unfortunately, this occurs much more frequently than we might think. "Even when following medical guidelines to the letter, doctors often use treatments that have little or no scientific support, U.S. researchers said Monday. They found only one in seven treatment recommendations from the Infectious Diseases Society of America (IDSA) — a society representing healthcare providers and researchers across the country — were based on high-quality data from clinical trials. By contrast, more than half the recommendations relied solely on expert opinion or anecdotal evidence." more via New questions about medicine’s “best practice” guidelines.